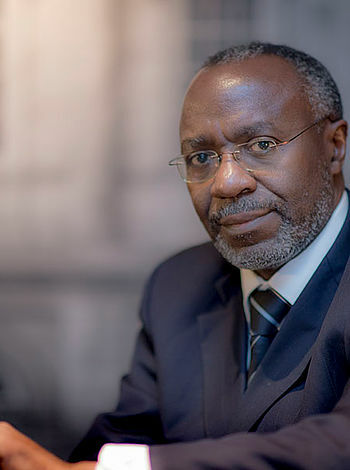 Dr. William Muhairwe, formerly CEO of the Ugandan National Water and Sewerage Corporation, is Executive Director of the Global Water Leaders Group. Dr. Muhairwe is responsible for one of the African water industry's great success stories - the turnaround of the Ugandan Water and Sewerage Corporation. When he joined the corporation in 1998, it was in a situation like "a critically ill patient, demanding painful but unavoidable radical surgery, strong medication and intensive nursing care to bring it back to health." During his first meeting he declared that he would resign if he did not turn the corporation around within 100 days. The surgery was successful and over the next 13 years the NWSC grew to become one of the most successful - and profitable - water and wastewater utilities in Africa. Since leaving the corporation in November 2011, Dr. Muhairwe has been taking his expertise to other struggling utilities in Africa through his 2ML management firm. He was appointed Executive Director of the Global Water Leaders Group in January 2013. Samantha Yates is Secretary General of the Global Water Leaders Group. Samantha was appointed to the role of Secretary General of the Global Water Leaders Group in January 2013, where she manages the network of hundreds of CEOs and Ministers in the global water sector and is also the Editor of Water Leader magazine. 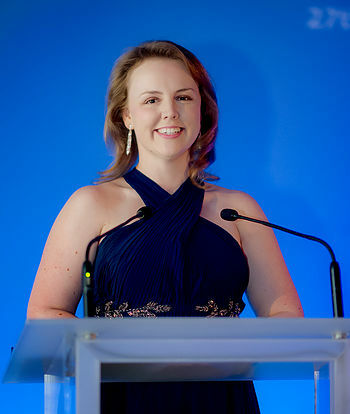 Prior to her appointment to the role of Secretary General, Samantha worked in various roles with the Group’s Publishing and Events Partner – Global Water Intelligence. Samantha also has a strong and diverse background in research looking at the Australian water crisis and also household-level water efficiency technologies in the UK. Samantha has a Bachelor of Commerce (Commercial Law and Marketing with Honours) Bachelor of Arts (Anthropology and Sociology) from the University of Sydney, and a Master of Science in Water Science, Policy and Management from the University of Oxford.